We all know how to protect ourselves when we’re shopping online or in the more traditional sense and we know what to do if our wallets are lost or stolen. What do you do if your tax refund has been diverted? It’s happening in ways many aren’t even aware of. And not only that – but it’s coming from areas most would never even dream possible. Most of us equate identity thieves to those who steal our personal information, maybe our Social Security number, drivers license or even our mail and then use that information to open credit card accounts, buy cars or take cruises. Now, though, these thieves are not only stealing our identity and our credit ratings, but they’re using that information to claim our income tax refunds, too. What happens if you receive a letter from the Internal Revenue Service that says your tax return has been rejected in its entirety? And then you find out that not only are you not receiving your refund, but it’s actually already been paid to you? The writing is on the wall: your identity has been stolen. Worse, it’s a growing problem. And worse still, the IRS often is of little help. It admits it struggles with finding solutions. In some situations, fraudulent filings may cause us to initiate an adverse enforcement action against the innocent taxpayer until we are able to confirm that someone else has used his or her information. A Chicago man was sentenced this month to 62 months in federal prison for filing fraudulent tax returns. He stole the identities of prisoners and dead people. A one time service member filed claims for federal tax refunds by targeting his former Marines. Many of those service members served alongside the thieve in Afghanistan. Before he was found out, it was discovered he’d stolen more than 100 names, dates of birth and Social Security numbers. A Tennessee woman is serving a whopping 262 months in federal prison and has been ordered to pay almost $700,000 in restitution to the IRS. She used the warrants book from a local police department to steal identities. She then sold it to others who used the information to file fraudulent tax returns. From 2008 to 2012, the number of tax-related identity theft cases the service saw come across its desks increased 650 percent. In 2012 alone, the service handled 55,000 identity theft cases. The IRS was dealing with 650,000 identity theft cases by the end of 2012. On average, it takes the IRS six months to resolve cases and then issue tax refunds to those victims. This is proving problematic on a number of fronts. 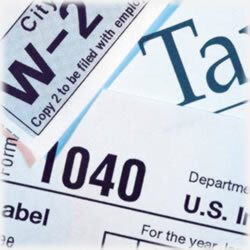 The Taxpayer Advocate Service says most efforts are made before tax season really kicks off. Thieves assume that if they can beat the real taxpayer to the punch, they stand a better chance of rerouting the refund. “All a thief need is your Social Security number” says McAfee ID theft expert Robert Siciliano. They can get this kind of information by hacking into any number of databases or even rifling through your trash. Once they have that, they simply file your taxes as early as possible, usually around the beginning of February. Unfortunately, the IRS admits the rate of growth in this kind of fraud has been challenging to keep up with and that “many victims are left exposed to identity theft-related problems the following filing season”, the testimony read. In one year alone, the IRS has doubled its workforce that deals solely with identity theft. A spokesperson said the government agency has taken aggressive steps to “go after the perpetrators”. A new program includes the IRS creating special identification numbers that are used to authenticate actual taxpayers. An identity protection personal identification number was issued to a quarter million taxpayers in 2012. This year, that number will climb to more than 600,000. Further, the IRS is encouraging taxpayers to visit its new sections devoted to identity theft through the IRS website. It includes dedicated phone lines and information that can help taxpayers avoid becoming a victim. The IRS reports that it is making progress in blocking fraudulent claims and assisting victims, but as the problem grows, the IRS is falling further and further behind. Others say this is just the IRS method of assigning new identification numbers and that their social security numbers should be enough to meet the needs of this new program. But there are other alarming concerns, too. For instance, ID thieves target children a whopping 35 times more often than adults. It’s believed one in ten children become identity theft victims before they turn eighteen (and most before they even turn 5). For most parents, it never occurs to them to check their child’s Social Security number, much less their credit report. In fact, it’s likely that most parents can’t access their child’s credit report anyway since anyone under the age of 18 can legally agree to allow another access to his credit history. So what should you do if you become a victim of identity theft and it’s costing you your refund – or your credit rating? You should contact the IRS immediately, for starters. You’ll also want to request a copy of your credit reports from each of the three credit bureaus. Consider freezing your financial accounts and check with your bank to see if any efforts have been made to hack into your bank accounts. Also, contact your credit card companies to verify no fraudulent charges have been made. You can also set up bank and credit card alerts that text you anytime there’s any kind of activity in any of your accounts. That’s strongly recommended since the sooner you know, the less the damage can be and the fewer long term problems you’ll face. Prepare yourself, though, for your call to the IRS. One woman called to check on the status of her refund and was told that her check had been mailed to an address in California. She lives – and always has lived – in New York. Worse, she called to report that she’d made a mistake and that she actually owed the IRS money. Turns out, the IRS never even checked but instead, forwarded the check to the California address. Have you ever been a victim of identity theft? Has your income tax refund been rerouted? Share your story with us – and let us know how you were able to get it squared away.